Who hasn't been easily seduced (read: influenced) by Instagram trends? It's so easy to hop onto new bandwagons when you spend most of your time scrolling on your feed, sharing hearts here and there, and being fed inspiration 24/7. Some are better than others, some are more budget-friendly than others, but one Instagram jewelry trend that you can easily try out is coin necklaces. From high-end jewelry designers to your go-to shops to fast fashion, this jewelry trend is one that comes in so many variations. 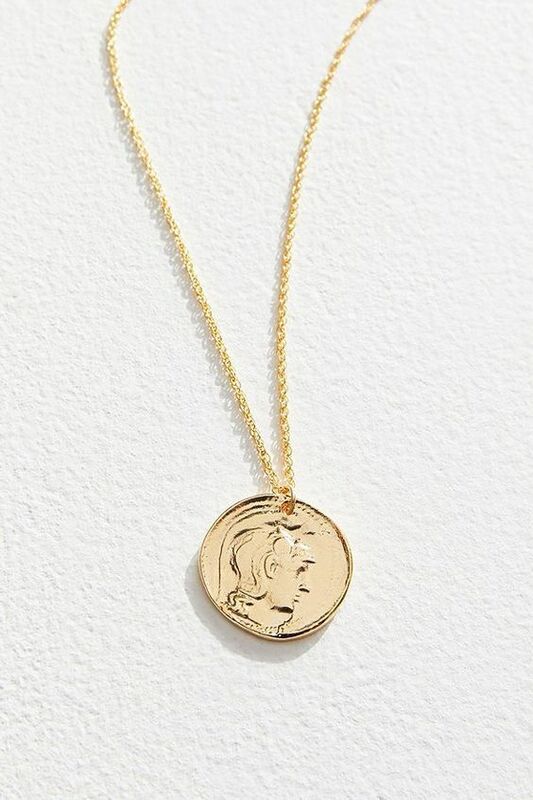 Whether you cop them straight off of Instagram or IRL, a coin necklace looks great layered solo on your neck or paired with daintier chains. That's why, ahead, we've rounded up all the best coin necklaces on the market—starting at a cool $20—so you can effortless try it out. A coin necklace under $20? Yes, please. A rose that won't wilt. Never take this one off. Show off your Greek mythology knowledge with this necklace. For those who love the stars. Two coins are better than one. We can't resist a good vintage-inspired necklace. Elevate your jewelry game with this one. How cool is this design? The perfect coin necklace for layering. We found our new favorite necklace. What do you think?